Our satisfied customers have made Bundy Motors first in Auto Repair, Collision Repair, and Classic Car Restoration. At Bundy our repair technicians have over 75 years of combined experience. 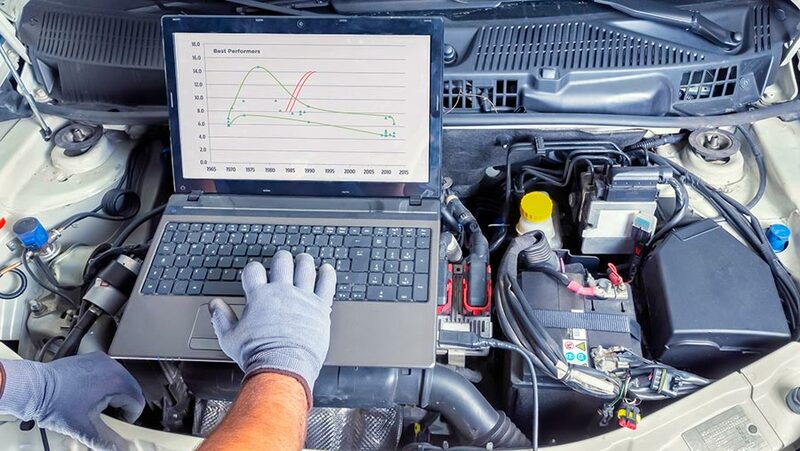 You can count on us to keep your vehicle running smoothly as long as you own it. Bundy Motors is a friendly, reliable and trustworthy establishment, serving Tolland County and surrounding areas for 40 years. We encourage you to consult Bundy Motors for regular car care and seasonal maintenance. Bundy Automotive provides diagnostic services, car maintenance, tune-ups, fluid, belt and hose replacement, and car repairs of any type. When we find an issue with your car, we do our best to find cost-effective repair and maintenance alternatives whenever necessary. At Bundy Automotive, you receive courteous service. We are always ready to offer cost-effective maintenance and repair solutions. Our ASE Certified technicians are professional and the best in the area. As we have been your neighborhood auto repair experts for decades, we look forward to serving you. For more information, call 860-872-7800.